ClickSend Ranked Number 210 Fastest Growing Technology Company on the Deloitte Technology Fast 500™ Asia Pacific 2018. Attributes its 362% Percent Revenue Growth to its razor sharp focus on Product, Deliverability and Value. Perth, Australia, 06/12/18 – ClickSend today announced that it ranked Number 210 on the Deloitte Technology Fast 500™ Asia Pacific 2018, a ranking of the 500 fastest growing technology companies in Asia Pacific. Rankings are based on percentage revenue growth over three years. ClickSend grew 362% percent during this period. ClickSend’s CEO, Matthew Larner, credits an unwavering focus on Product; providing the best software experience, Deliverability; the relentless pursuit of 100% delivery rates and Value: pricing that’s always competitive and support that always on with the company’s 362% revenue growth over the past three years. He said, “Attracting enough customers to attain such fast growth over three years makes a strong statement about the quality of our software and our people”. 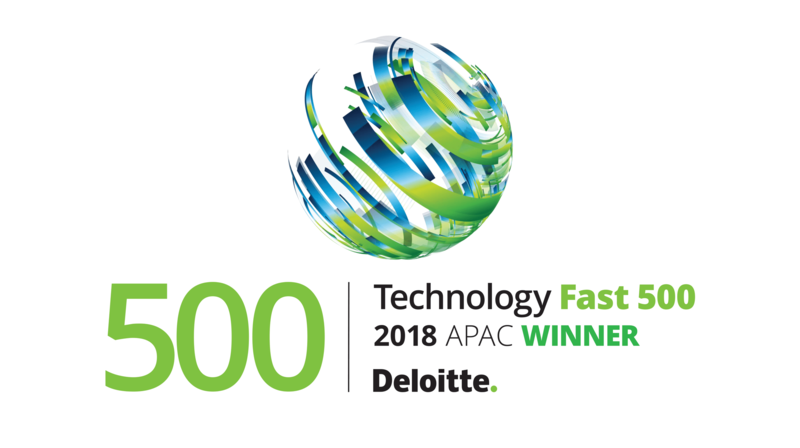 “Making the Deloitte Technology Fast 500™ is commendable in today’s highly competitive, fast-changing technology industry,” said Toshifumi Kusunoki, DTTL Leader, Deloitte Technology Fast 500™ Asia Pacific program. In addition to ranking on the Deloitte Technology Fast 500™, ClickSend ranked 17th on the Deloitte Technology Fast 50, which is a ranking of the 50 fastest growing technology firms in Australia. Overall, companies that ranked on the Deloitte Technology Fast 500™ Asia Pacific 2018 program had an average growth rate of 600 percent—the highest average growth rate since 2008. The Technology Fast 500™ list is compiled from the Deloitte Asia Pacific Technology Fast 50 programs, nominations submitted directly to the Technology Fast 500™, and public company database research. To qualify for the Technology Fast 500™, entrants must have had base-year operating revenues of at least US$ 50,000. Entrants must also be public or private companies headquartered in Asia Pacific and must be a “technology company,” defined as a company that develops or owns proprietary technology that contributes to a significant portion of the company’s operating revenues; or manufactures a technology-related product; or devotes a high percentage of effort to the research and development of technology. Using other companies’ technology in a unique way does not qualify. ClickSend – Business Communications. Solved. ClickSend is cloud-based business communication software that anyone at any level can use to create unique campaigns using a constantly evolving suite of products – SMS, Email, Letters and more. ClickSend has built upon its SMS marketing core to become an all-in-one multi-channel communications tool. ClickSend is business communication, solved. Deloitte provides audit, consulting, financial advisory, risk advisory, tax and related services to public and private clients spanning multiple industries. Deloitte serves four out of five Fortune Global 500® companies through a globally connected network of member firms in more than 150 countries and territories bringing world-class capabilities, insights, and high-quality service to address clients’ most complex business challenges. To learn more about how Deloitte’s approximately 264,000 professionals make an impact that matters, please connect with us on Facebook, LinkedIn, or Twitter.